Like the title suggests, twenty years have passed since that fateful night where masked killer Michael Myers went on a killing rampage involving some babysitters, nurses, doctors, and other innocent bystanders as he made his way toward Laurie Strode (Curtis). She has since survived and is now living under the new identity of Keri Tate, the headmistress of Hillcrest Academy High School in California. The nightmares haven’t stopped as she knows Michael is still out there. The only person that knows her past is her son, John (Hartnett). He is desperate for her to move on and not let the thought of Michael’s return ruin their lives any longer. Even her boyfriend Will (Arkin) is unaware of that night. To top it off, Laurie has been hitting the bottle and popping the pills. Can you blame her? I would be severely messed up if I was the target of someone’s butcher knife. John, his girlfriend Molly (Williams), and their friends duck out of a trip to Yosemite National Park to roam the school grounds on Halloween night to fool around and have a night to themselves. Laurie believes they are on the trip after John begged and pleaded to go. What a sneaky move on his part. Leave it to maternal instincts for Laurie to realize John never made it to Yosemite. She and Will head to Hillcrest in order to find John and Molly only to come face to face with Michael for the first time in twenty years. The horror genre was going through a resurgence at this time with the release of Scream, I Know What You Did Last Summer, and The Faculty. 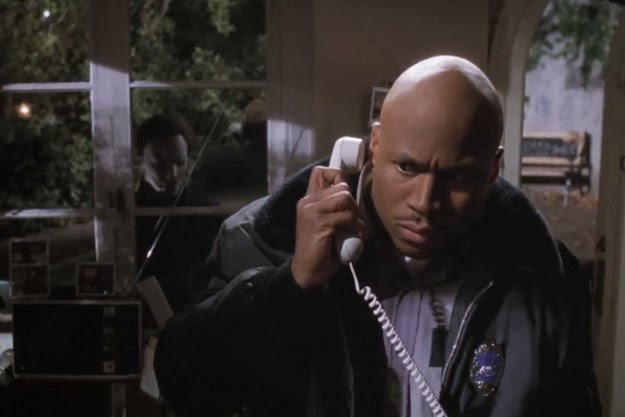 Even though it was the twentieth anniversary of Halloween, this new found love of the genre must have played a part in the studio wanting to make another Halloween film after the sixth one bombed. Kevin Williamson was in high demand at the time and came in to write a treatment of the script. Some of his ideas were still used in the movie. His treatment is floating around the internet, but who knows if you can trust if it is his or not. He is a great writer and I am curious to see what his film would have turned out like. I and many other fans rejoiced as Scream Queen Jamie Lee Curtis made her return to the role that made her famous. She has stated it was her idea originally to get the ball rolling on making this film a reality. She knew the anniversary was coming up and wanted to see what Laurie Strode was like after all these years. If you remember correctly from Halloween 4: The Return of Michael Myers, it was stated that Laurie Strode died in car accident. That is justified here when she admits to faking her death to go into hiding. That is the only factoid and storyline from films 4, 5, and 6 that is referenced in H20. The writers purposefully chose to ignore that timeline, and there is no mention of Laurie’s daughter Jamie who was one of Michael's previous targets. The film also marks the return of Nancy Stephens as Nurse Marion Chambers who also appeared in the first and second movies. She acts as the catalyst on how Michael was able to track Laurie down in hiding. Even though Donald Pleasance had passed away by the time they made this, there are newspaper and audio clips of his character Sam Loomis from the first film. 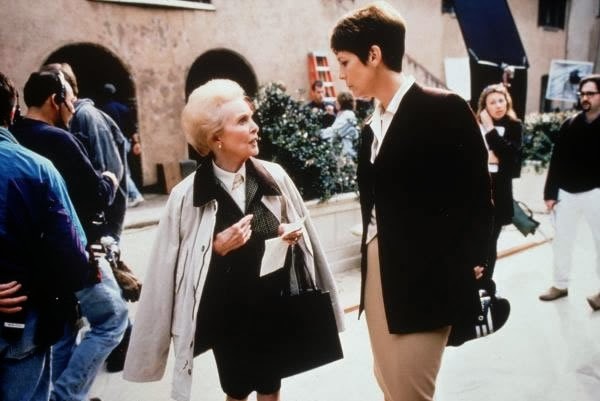 Horror icon and Jamie Lee’s mom Janet Leigh appears in one of her last big screen roles as Norma who also works at Hillcrest. Miner and screenwriters Robert Zappia and Matt Greenberg have fun with this as they drop little odes to Psycho in regards to her character. You may also notice that Hartnett's character was named after series creator John Carpenter. 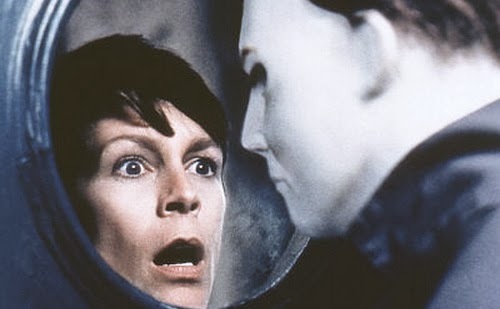 No other film in this series could ever top the original, but Halloween H20: 20 Years Later is the next best one in the series. Yes, it is missing the John Carpenter/Debra Hill touch. Director Steve Miner has experience with horror having director Parts 2 and 3 of the Friday the 13th series. He is able to bring some good scares and shocking moments to the movie. I have yet to really talk about the infamous Michael Myers mask throughout the retrospective. The mask can sometimes make or break the character, and the mask here is pretty plain and simple. I wish they would have taken more time in developing the subtle nuances it can have. The film boasts a pretty great cast with series regulars like Curtis and Stephens, horror icon Janet Leigh, and young stars Michelle Williams, Joseph Gordon-Levitt, and Josh Hartnett. They are all smart actors that were actually given decent characters. No obnoxious whiny annoying teens in this one. 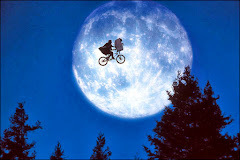 This comes in as the shortest film in the franchise, which is somewhat of a bummer as the movie is pretty good. I would not have minded another ten or fifteen additional minutes. I oftentimes find myself going back and re-watching this one over any of the other sequels.